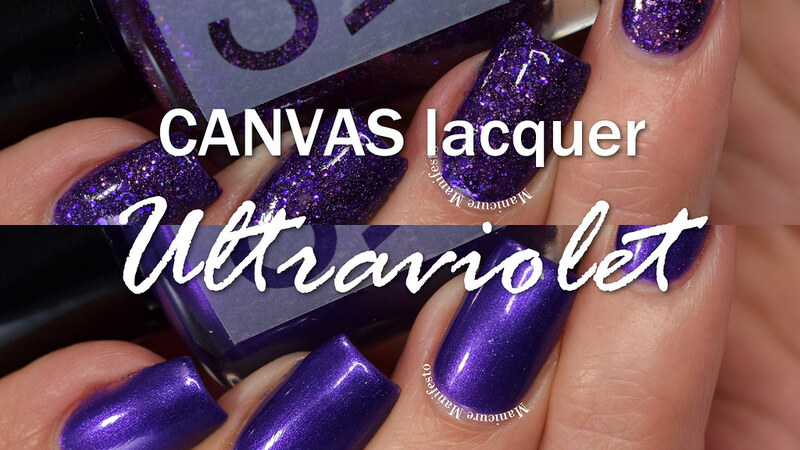 Today I have the new Ultraviolet duo from CANVAS lacquer to share with you. 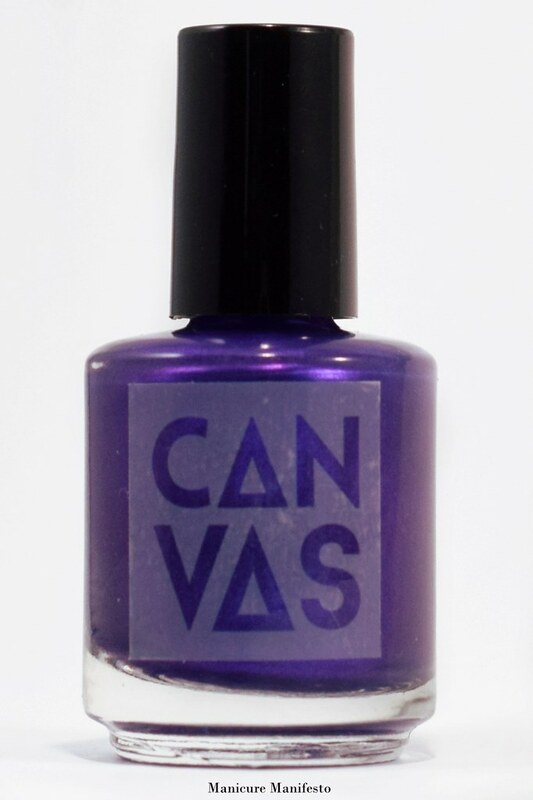 These purple shades were inspired by the Pantone 2018 Colour Of The Year Ultra Violet. Let's take a look at swatches. 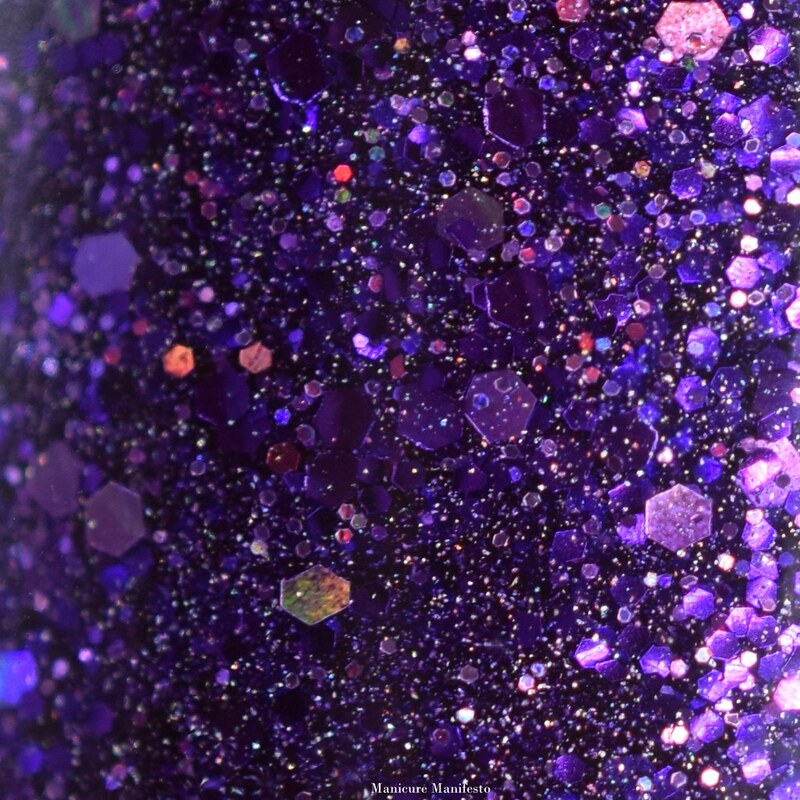 Electric Avenue features a grape purple jelly base filled with silver holo flecked shimmer, purple hex glitters and holo hex glitters. I used three coats here for full coverage, though it was so close after two that if you have shorter nails or a less distinct nail line, two may be enough for you. 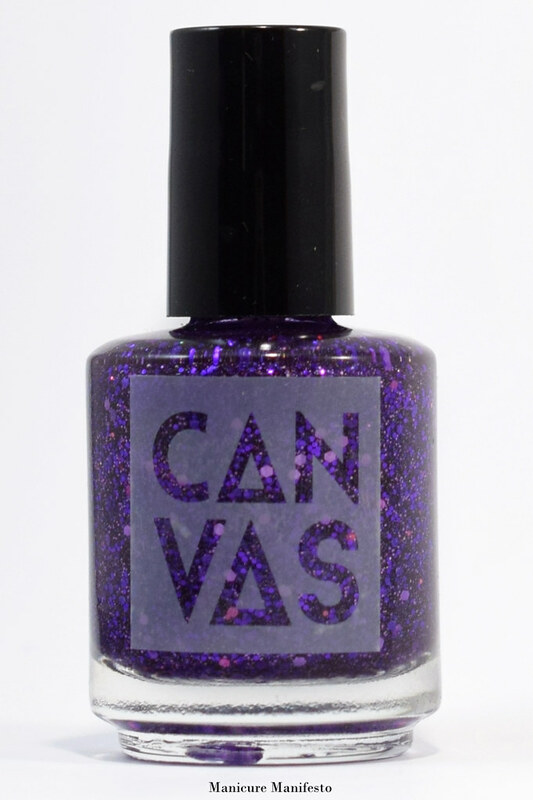 Due to all the glitters this does dry with some texture, so top coat is highly recommended. 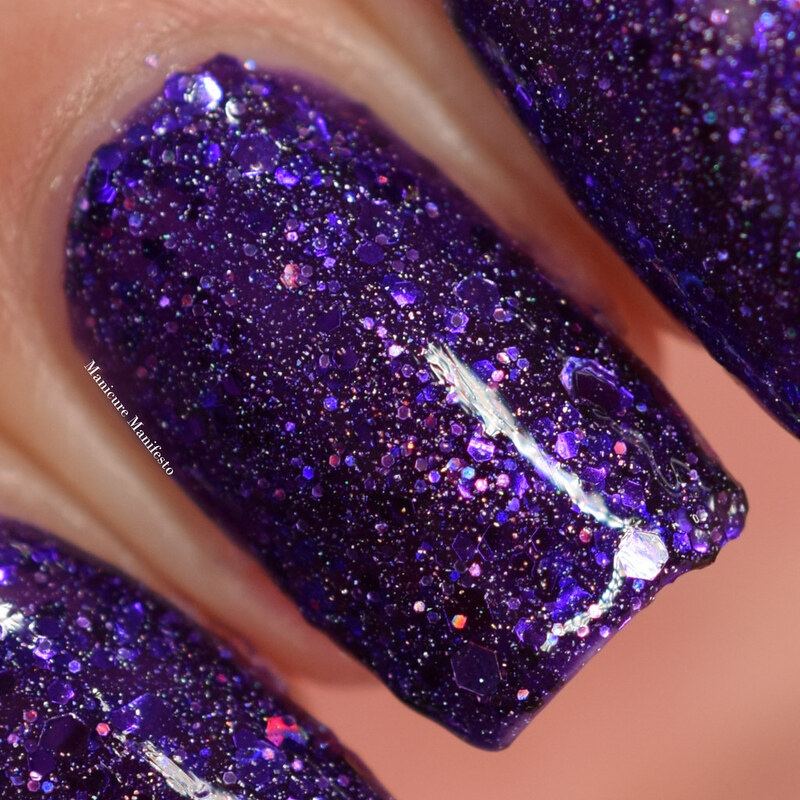 Photos show three coats of Electric Avenue with one generous coat of Girly Bits What A Rush top coat in daylight spectrum lighting. 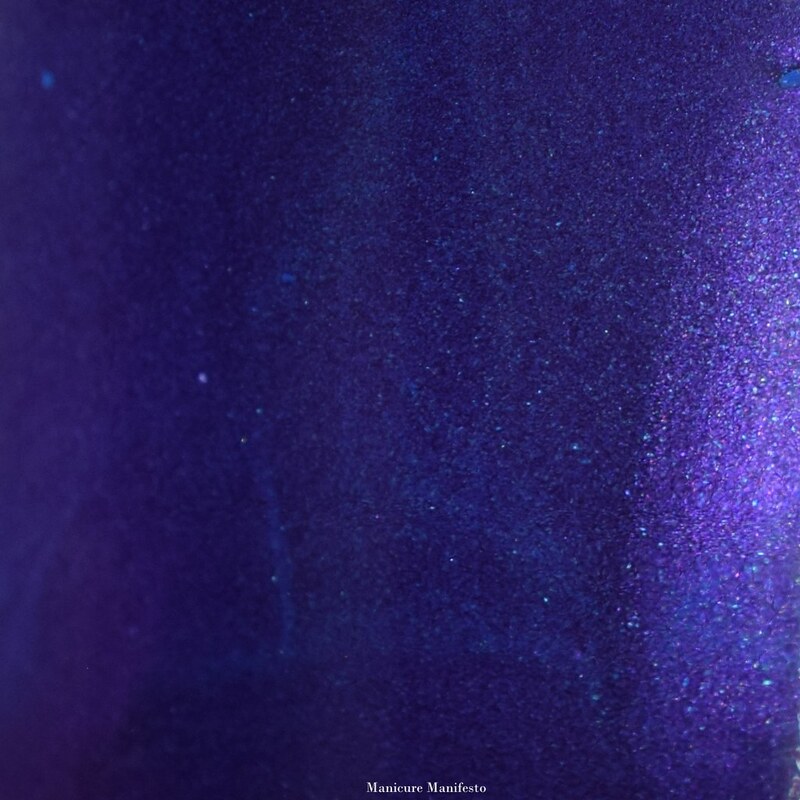 Violet Uprising is a fine grape purple shimmer. In some lighting it also gets a shifty blue glow to it. The formula was very easy to work with and took three coats for full coverage. Like Electric Avenue, it was so close after two that those with shorter nails or a less distinct nail line may find two is enough. 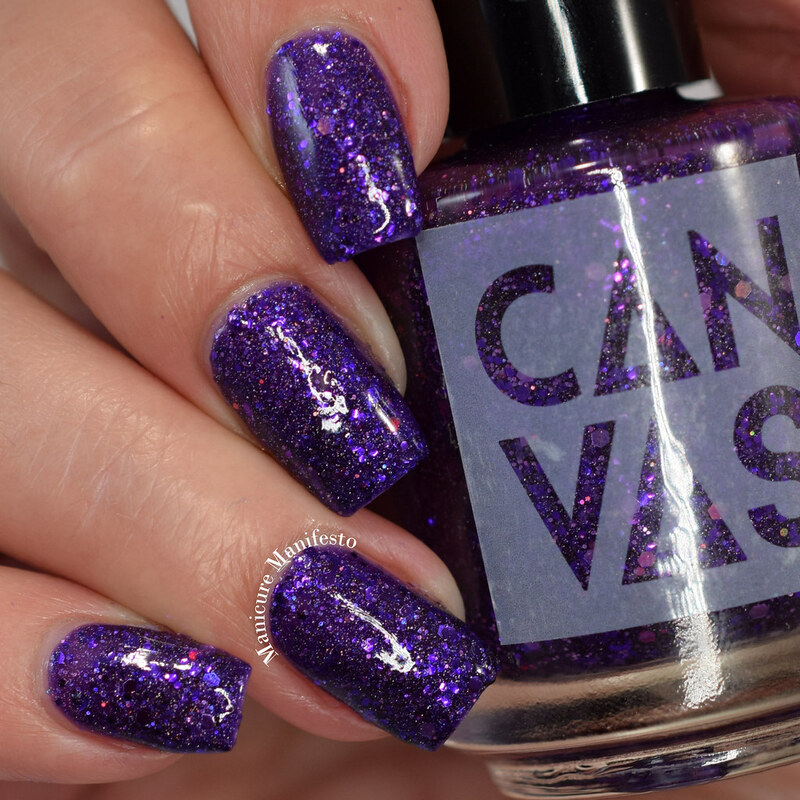 Photos show three coats of Violet Uprising with one coat of Girly Bits Cosmetics What A Rush top coat in daylight spectrum lighting.